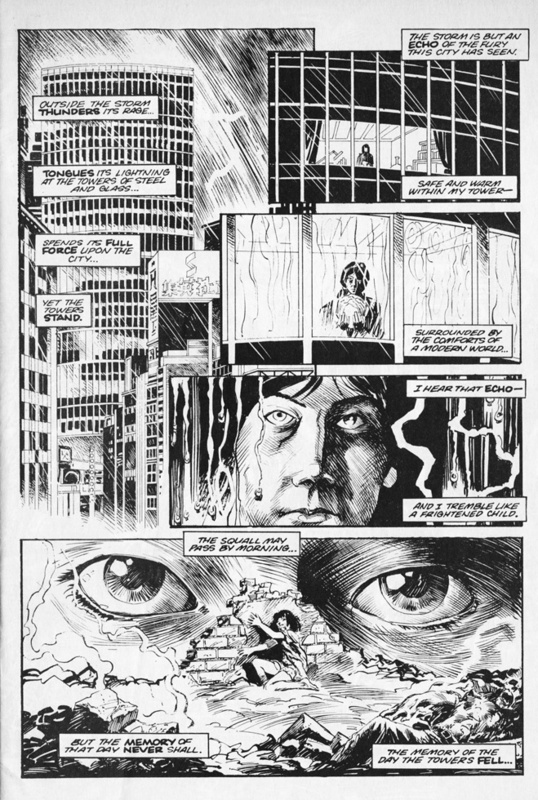 At the same time in 1987 that Steve Bissette was wrapping up his groundbreaking run on Swamp Thing, this little gem was published through Dark Horse. I’m including the credits page here as well so that all that were involved are cited. What follows are a few sample pages. 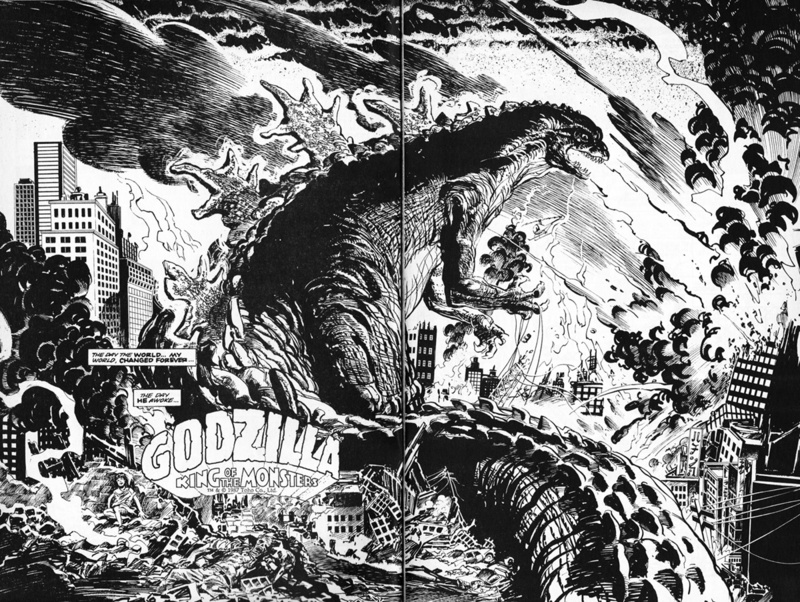 Page 1, 2-3 (double page spread) and page 20. 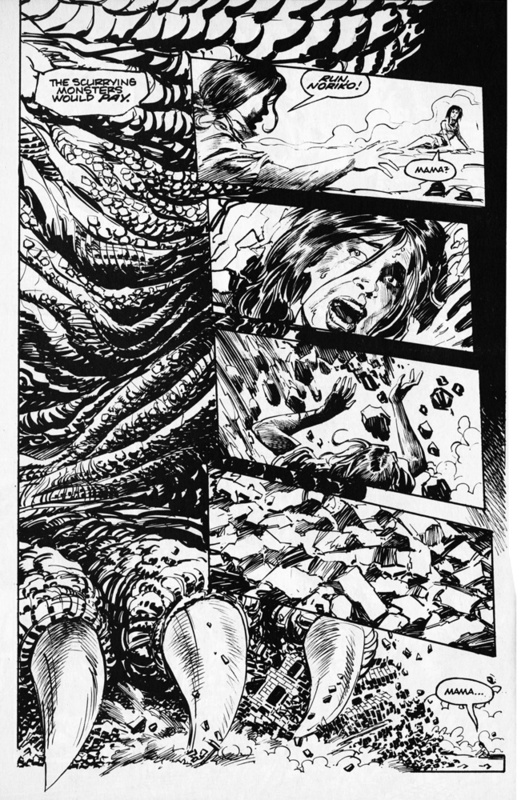 Page 20 in particular is pure Bissette – you can almost feel the weight of Godzilla’s foot by how he renders the folds in the creature’s massive hide. 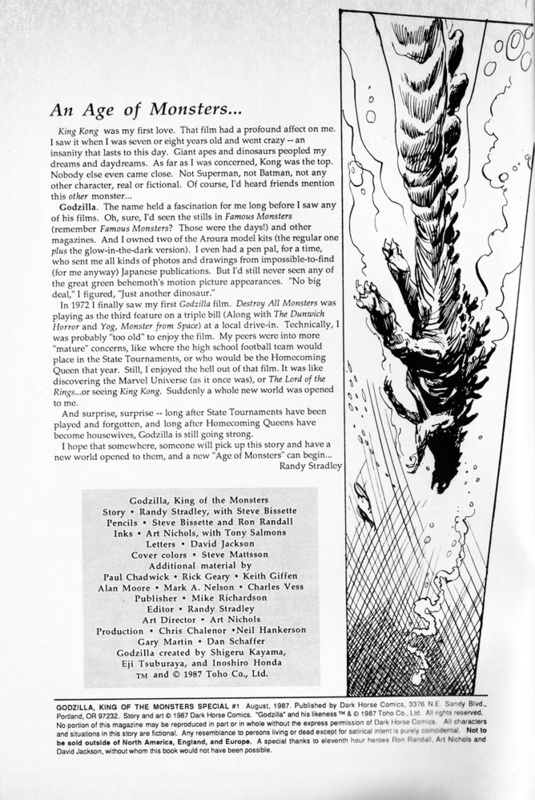 The comic also included an immensely informative two-page text piece by Bissette entitled “Thirty Years of Godzilla” – along with Godzilla pin-ups by Paul Chadwick, Alan Moore, Charles Vess and others. 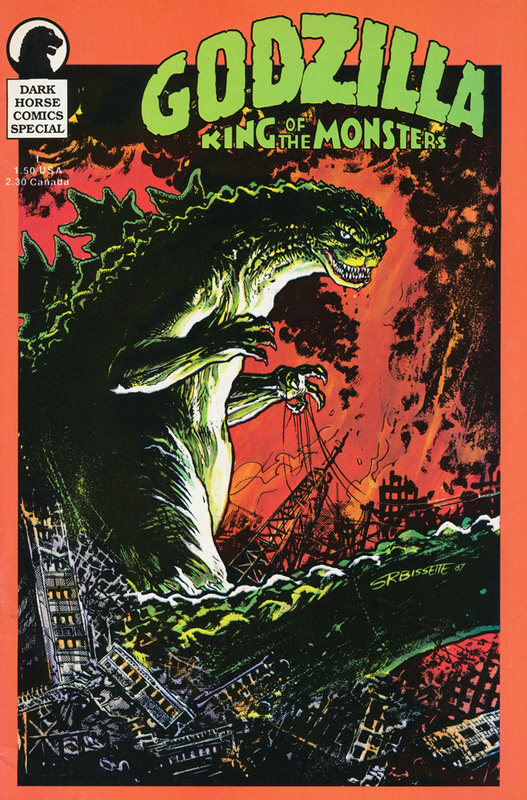 If you can find a copy of this back issue I highly recommend it! 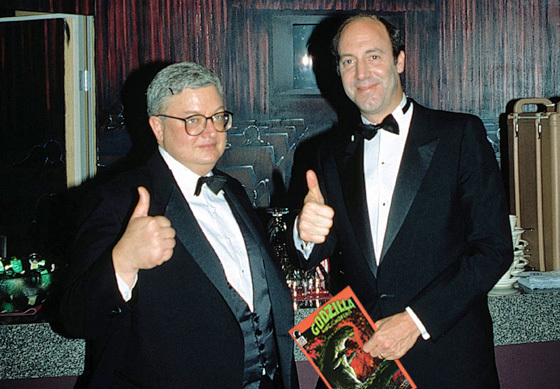 This entry was posted in Steve Bissette and tagged Godzilla, Stephen Bissette. Bookmark the permalink.